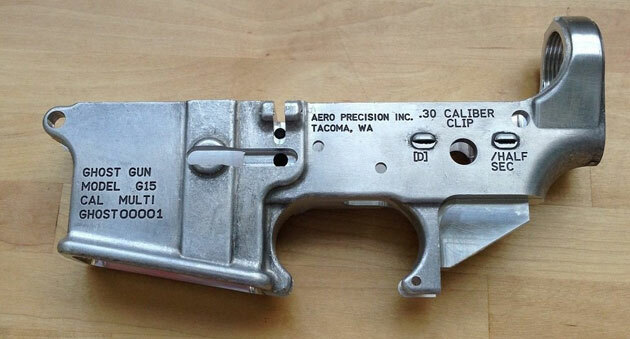 Fresh off California State Senator Kevin de Leon becoming internet famous for putting on the big red clown shoes and talking “ghost” guns comes the Aero Precision Ghost Gun lower receiver. Pretty funny…I’m gonna go email Senator de Leon and see what he thinks. The Aero Precision Ghost Lower is now up for pre-sale for those of you who want one…or three. I’ll pitch in $5 towards buying one for the esteemed senator so he can have his own ghost gun. I am curious where Captain Clown Shoes got the AR he was holding. I doubt seriously he owns it and what gun owner would let that clueless tool use their gun for his idiotic rant? Unless they knew he was a tool and was going to make a fool of himself and wanted to be the owner of the infamous “Ghost Gun”. It was used in “crimes in the state of California” the crime was probably just being possesed by someone. I’m gonna need one of those lowers!